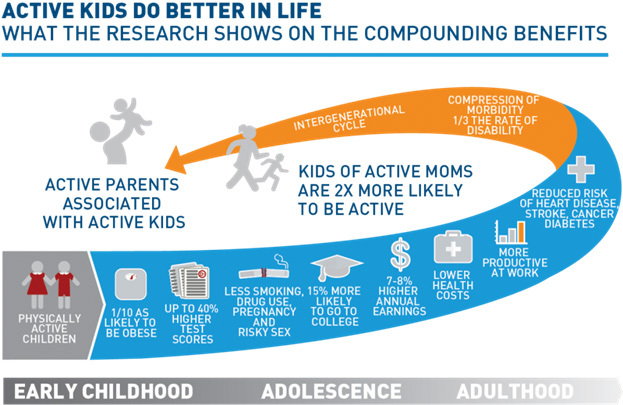 Physical activity is known to improve academic performance. Children arrive brighter and more alert for their first morning class after walking or biking to school. Walking and biking reduces stress and increases creativity, both of which will help a child’s performance at school. Physical activity and fitness boost learning and memory in children; fitness-associated performance benefits are largest for those situations in which initial learning is the most challenging. Sixth- and ninth-grade students with high fitness scored significantly better on math and social studies tests compared with less fit students, even after controlling for socioeconomic status. Muscular strength and muscular endurance were significantly associated with academic achievement in all grades. Lower performing students appear to derive particular benefit from physical activity. In addition, short bicycling exercise periods resulted in enhanced neuronal activity and increased cognitive performance for teenagers with intellectual and developmental disabilities. When children get physical activity before class, they are more on task and fidget less. This is true for both girls and boys, and has been shown to be particularly beneficial for children who have the most trouble paying attention and those with attention deficit disorders.